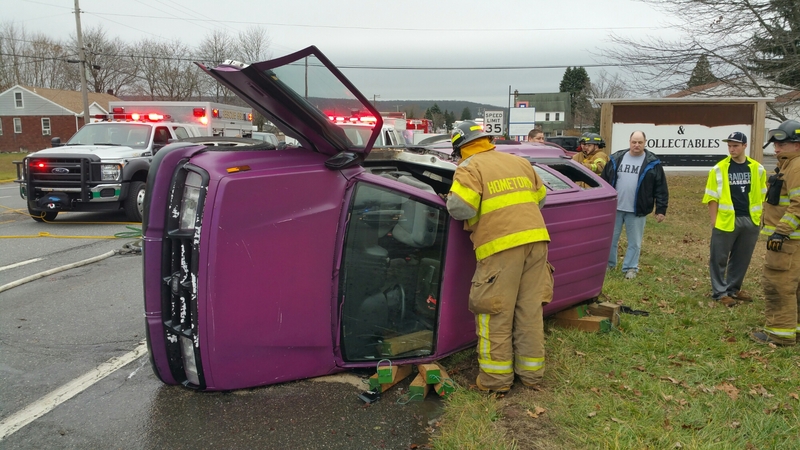 A pregnant woman from McAdoo was taken to the hospital after being freed from an overturned vehicle today by rescuers in Hometown. 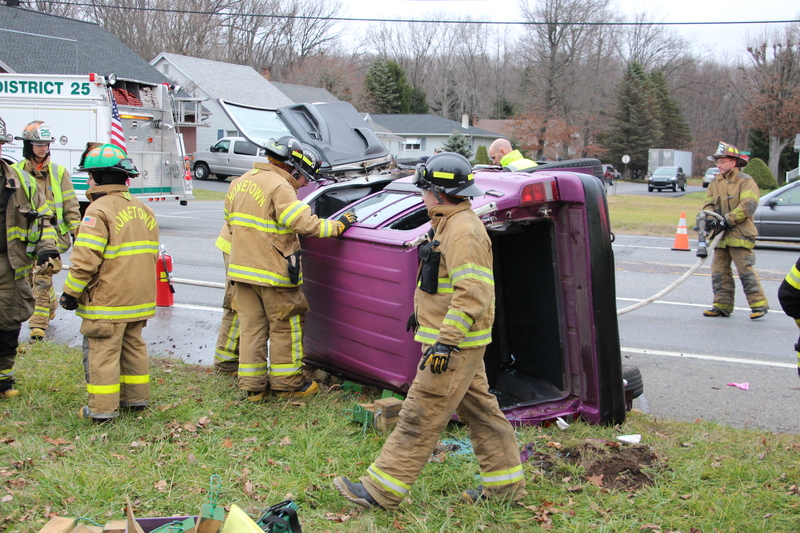 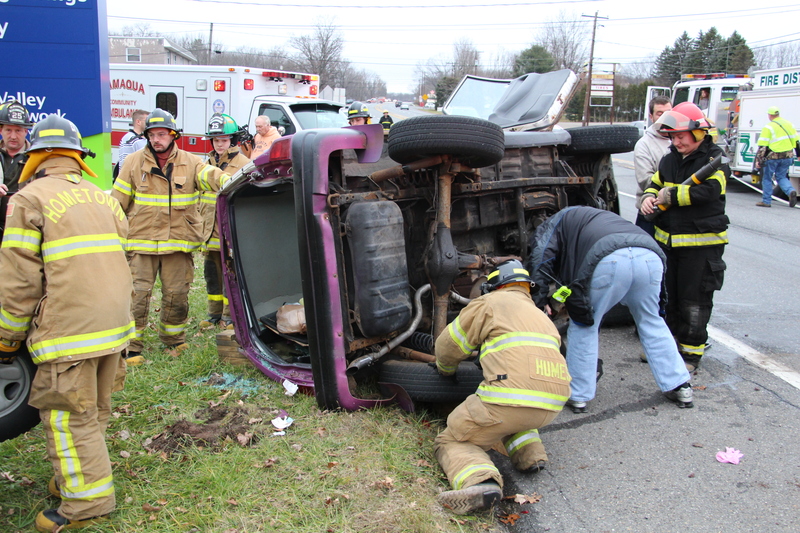 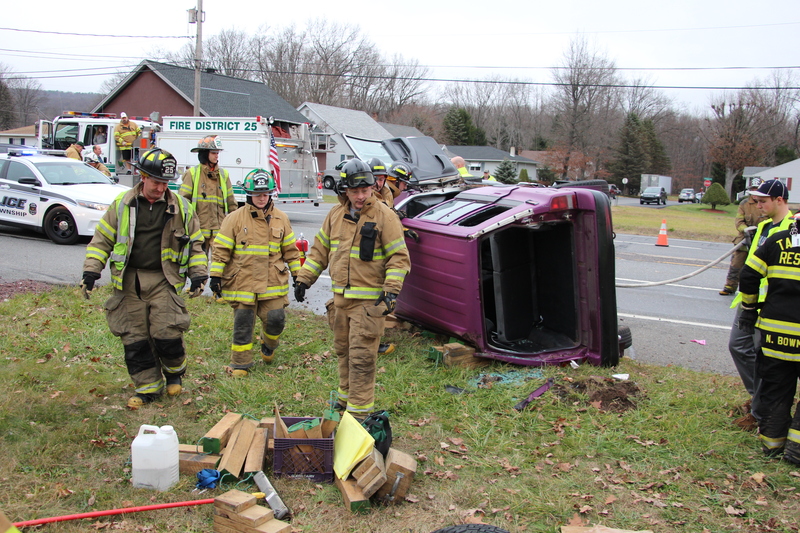 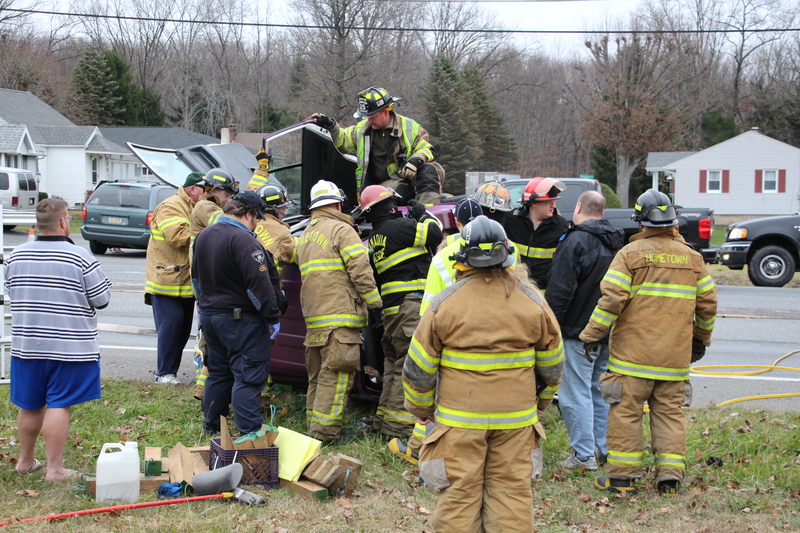 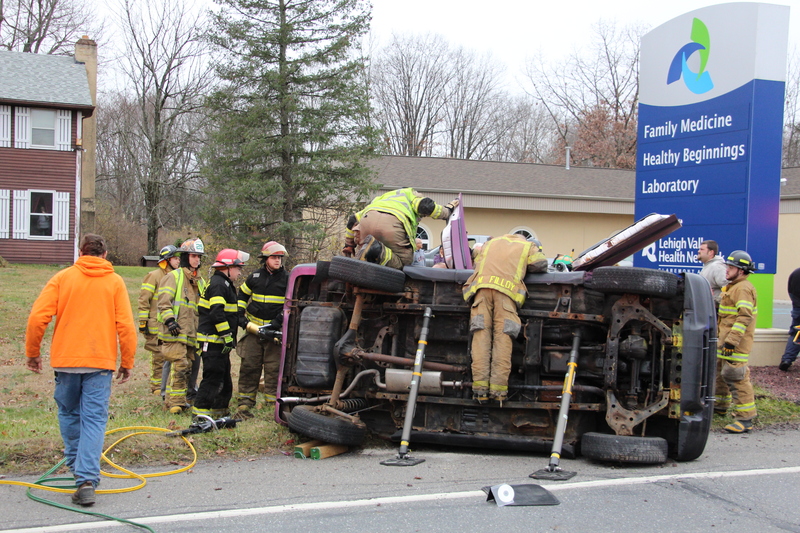 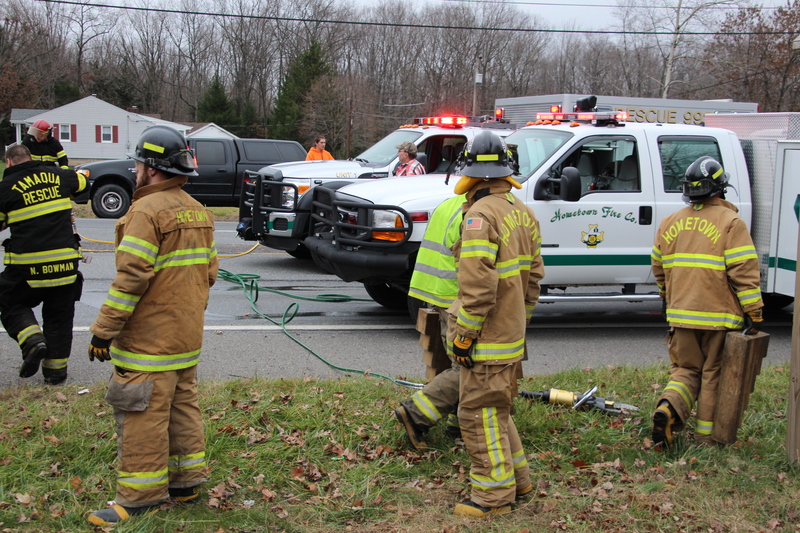 Emergency responders were called just before 12 PM to the area of 241 Claremont Avenue (SR309) southbound for an overturned vehicle with confinement. 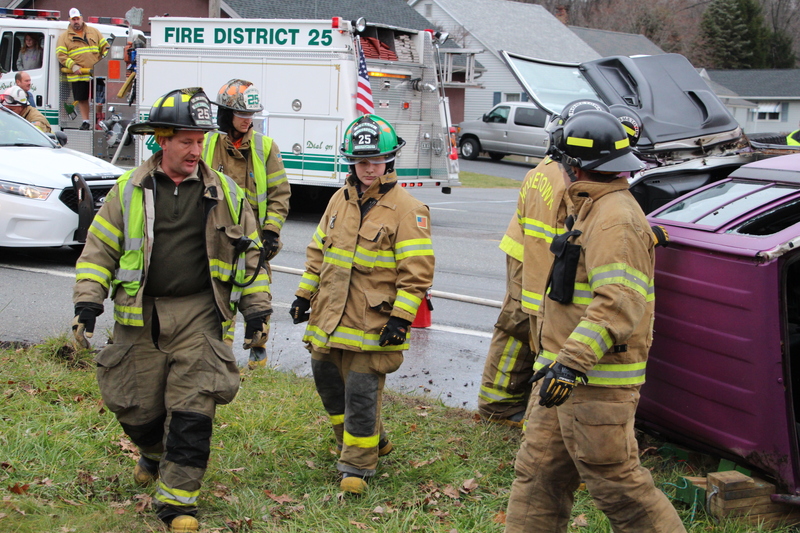 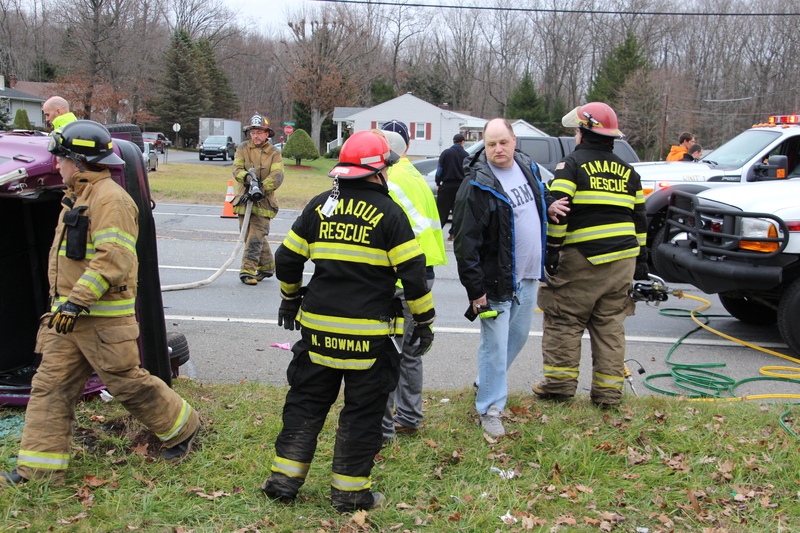 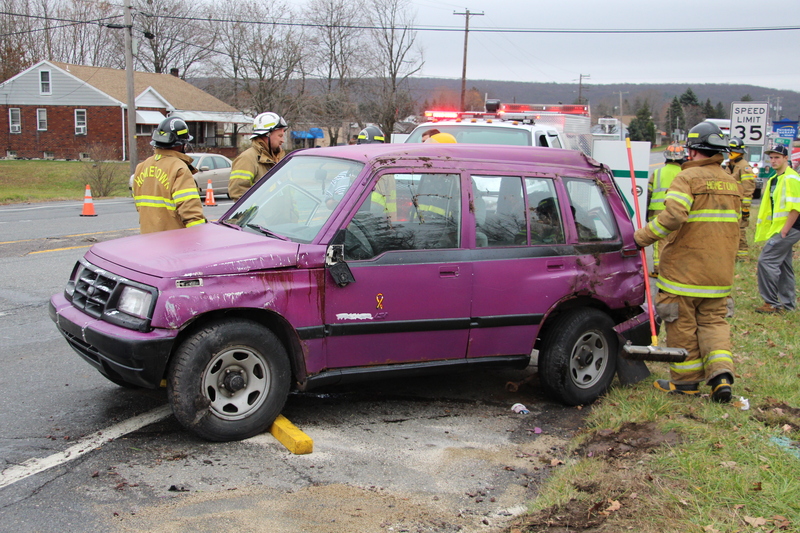 Rush Township Police arrived to see a male driver and female passenger still in the vehicle. 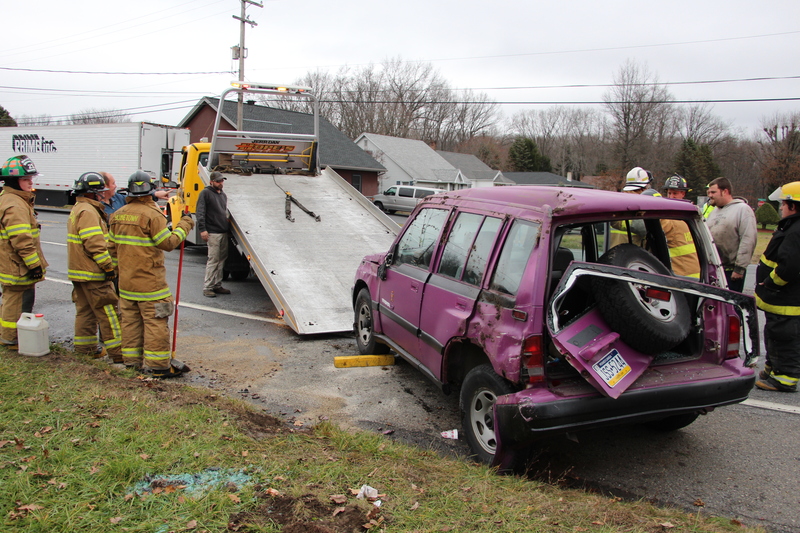 The driver of the vehicle, a male, was able to get out on his own and told officials that the woman was pregnant. 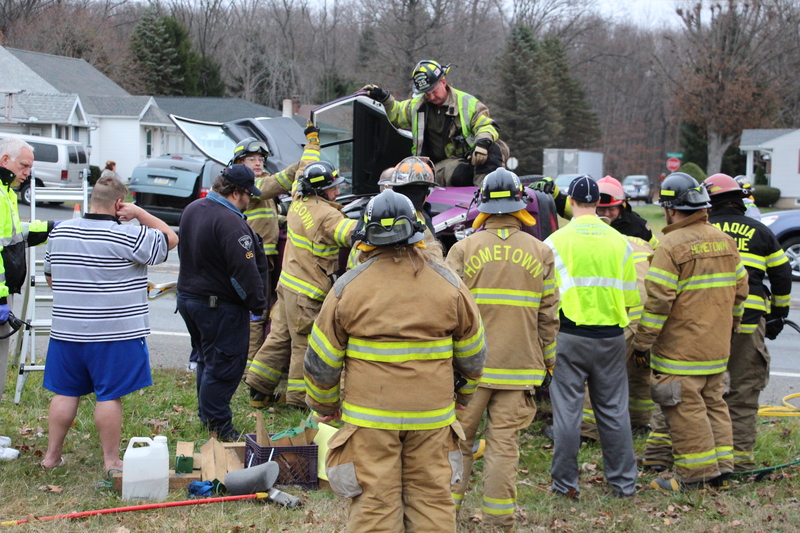 Rescuers could be seen using hydraulic equipment to cut doors off of the vehicle to free the woman, who was stuck in the vehicle for about 20 minutes. 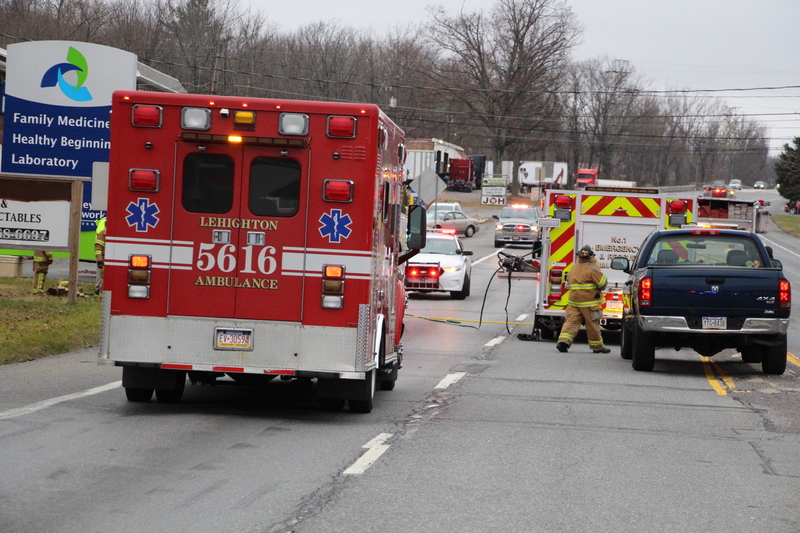 The pregnant woman, who was seen walking around, was transported to Lehigh Valley Hospital in Hazleton with unknown injuries. 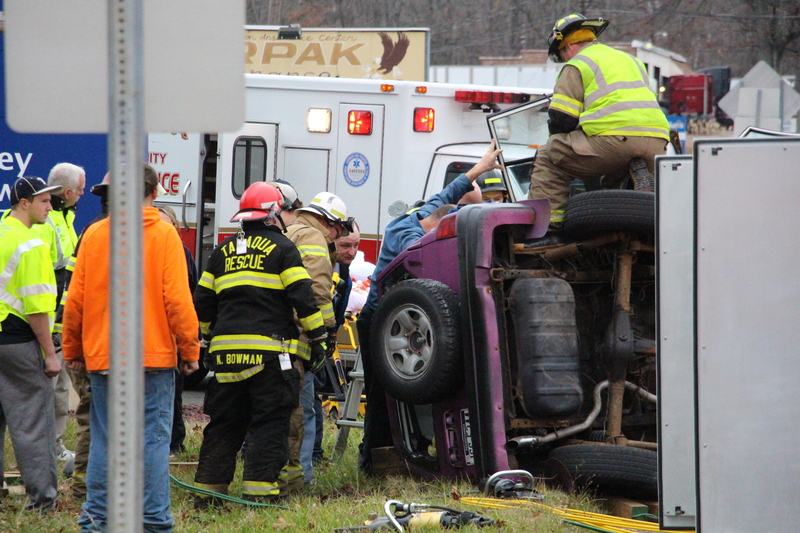 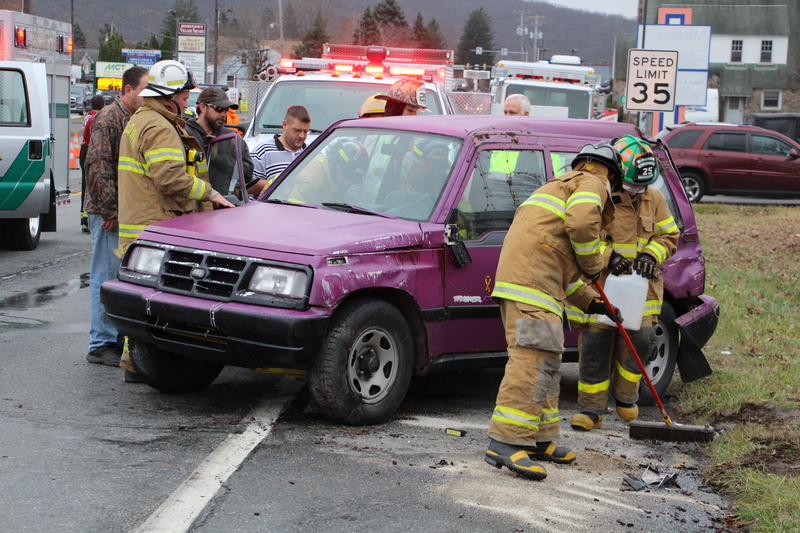 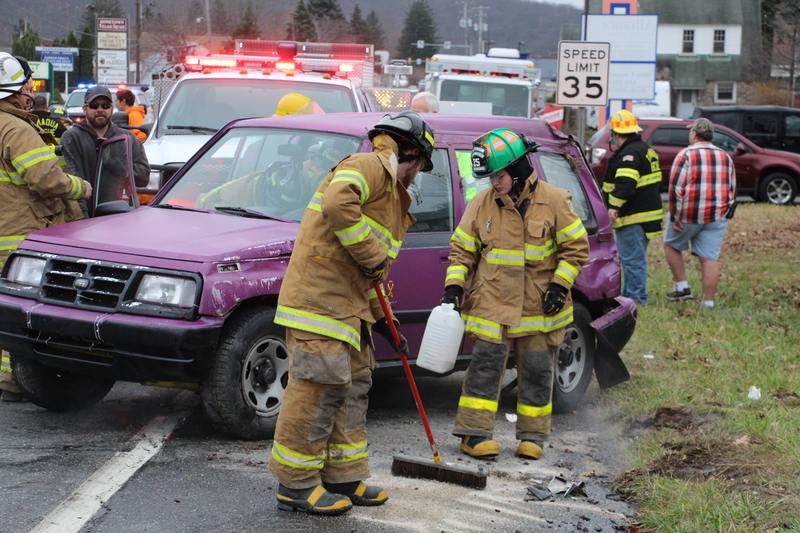 The driver said the vehicle, a purple Chevy Geo Tracker LSI, started to shake and it flipped. 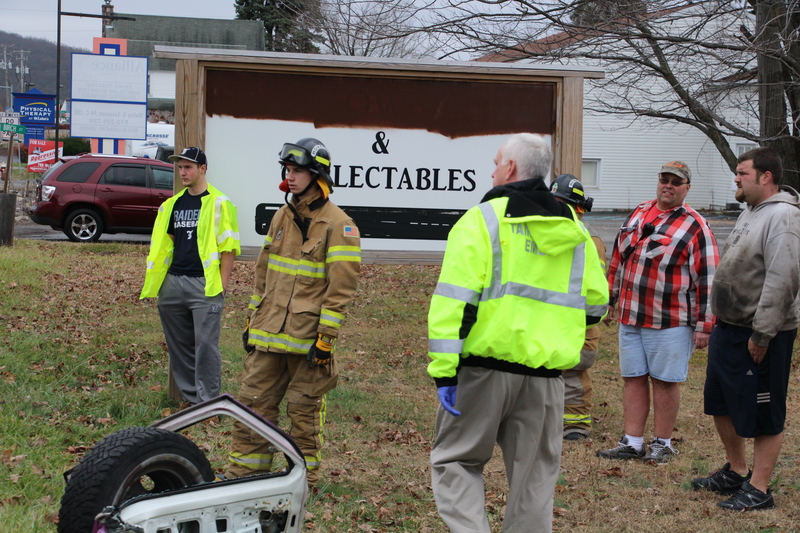 A firefighter said the drive shaft looked as if it snapped. 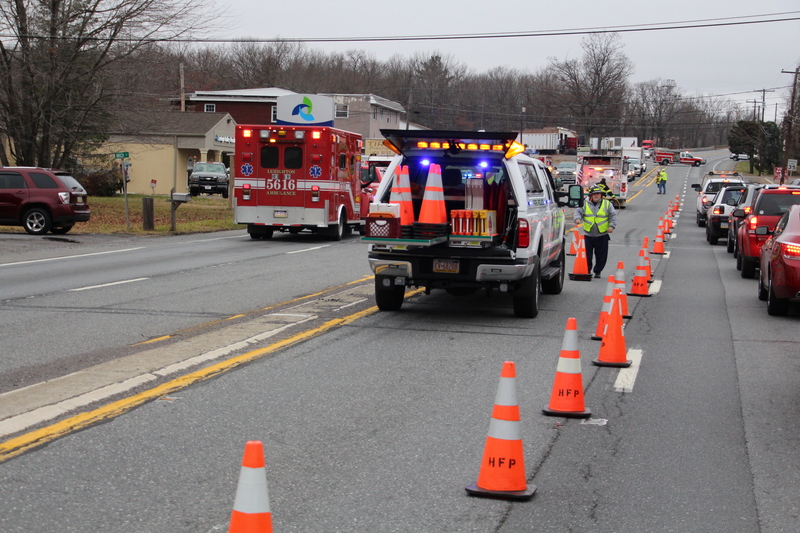 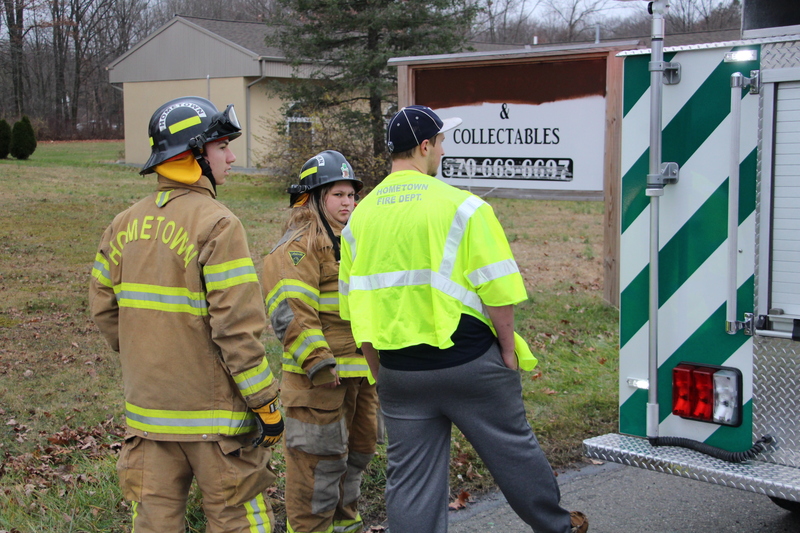 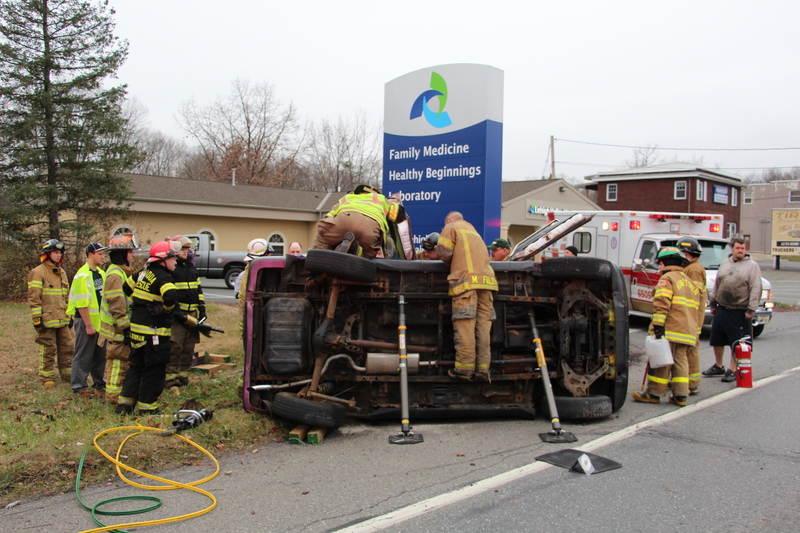 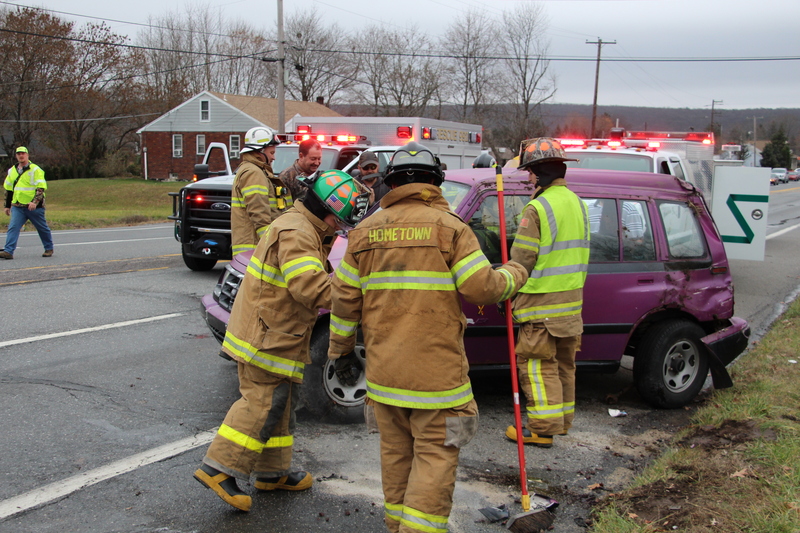 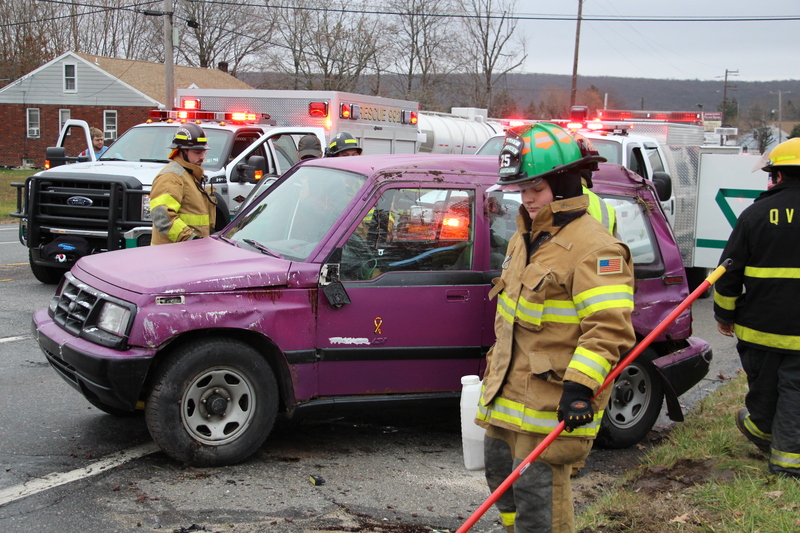 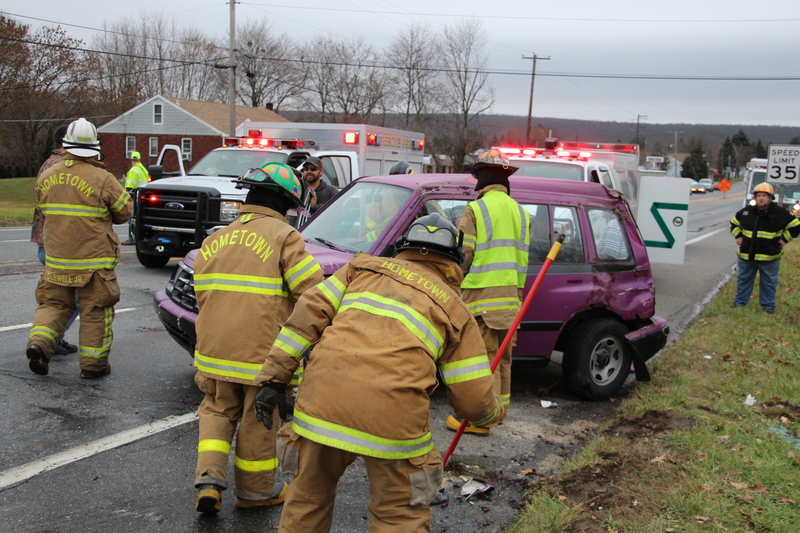 Responding were Rush Township Police, Hometown Fire Company, Tamaqua Rescue, Tamaqua Ambulance, Lehighton Ambulance, Quakake Fire Company, and others. 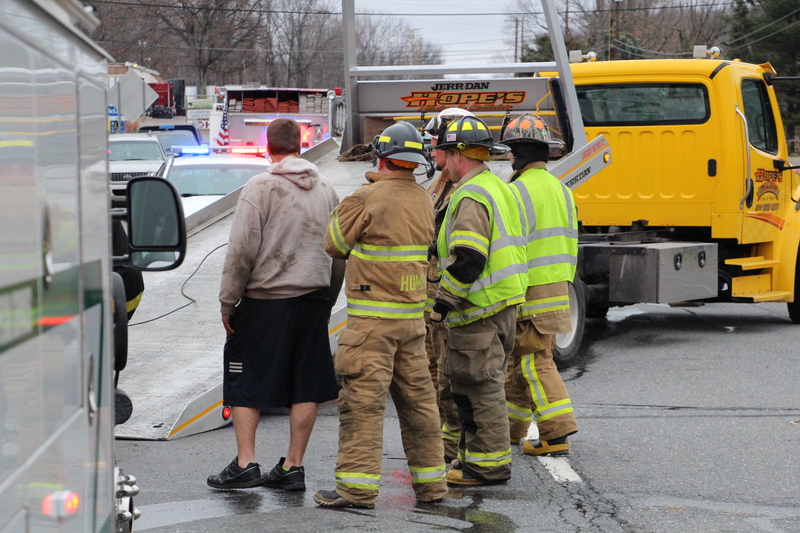 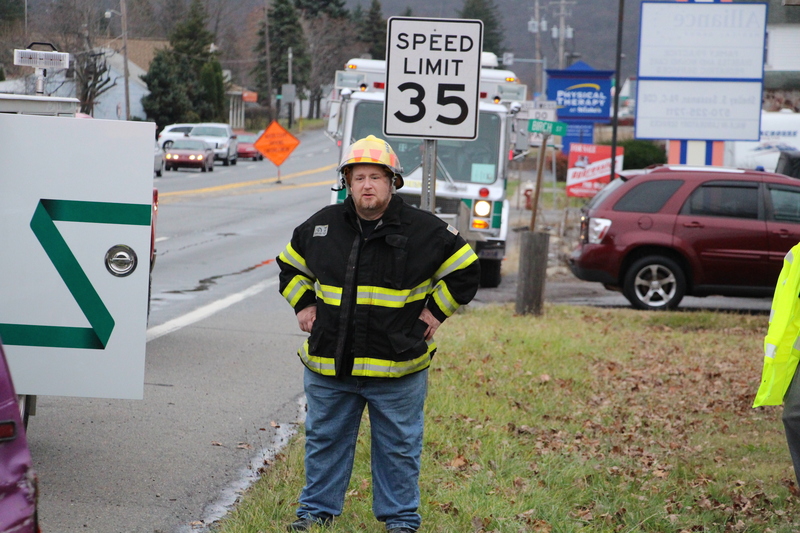 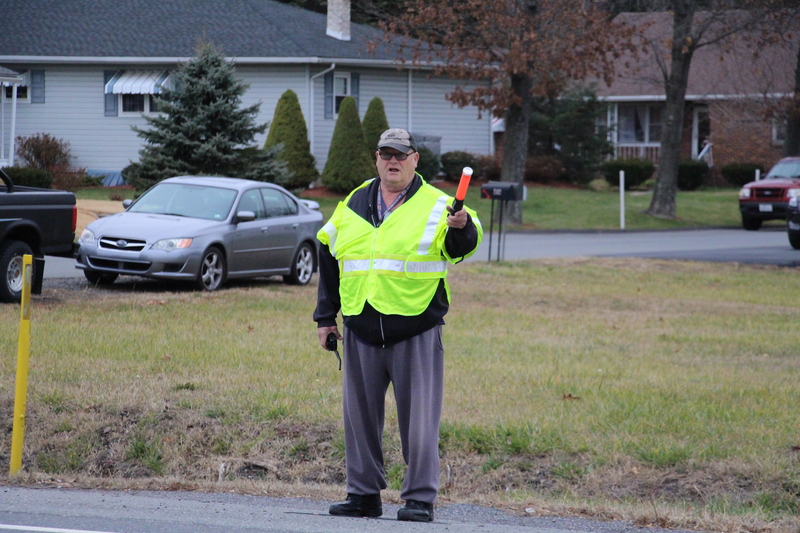 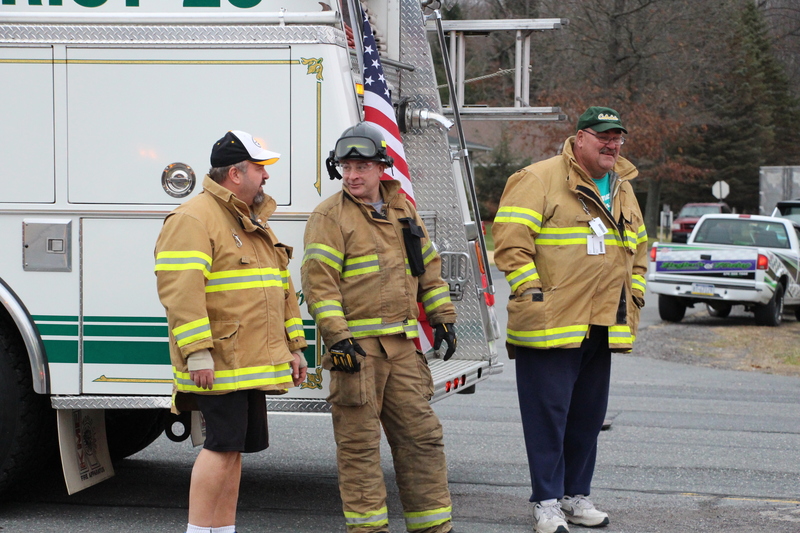 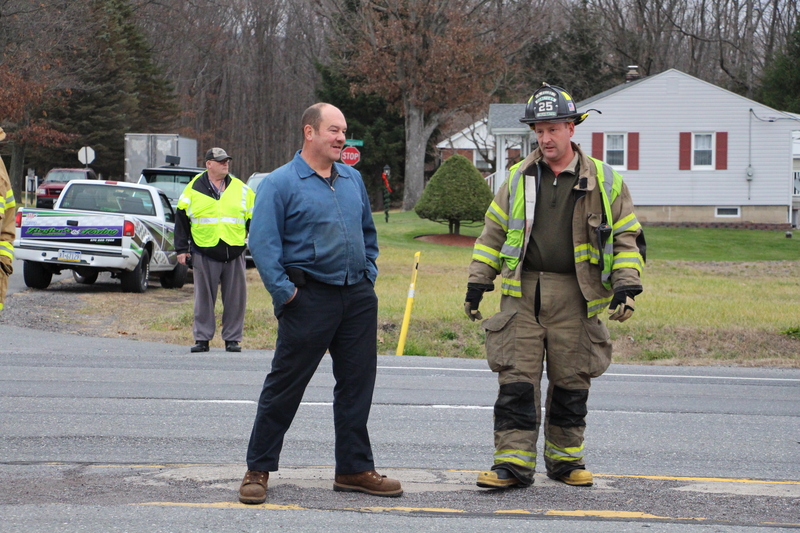 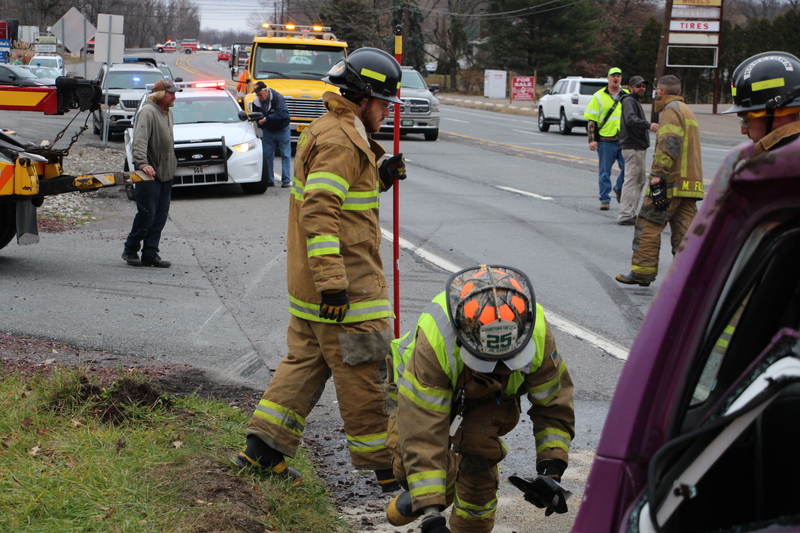 Hometown Fire Police directed traffic around the scene for the duration. 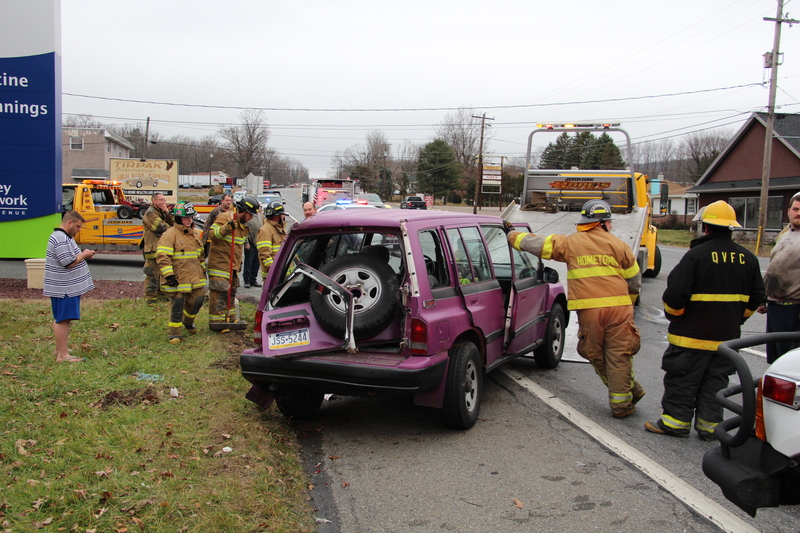 Click HERE to view story on WNEP TV.